Norwegian Jade sails year round in Europe, featuring both Mediterranean and Western Europe itineraries (all which depart from Barcelona, Spain). With 16 international restaurants, as well as 13 bars and lounges, you're sure to have a great time enjoying NCL's Freestyle Cruising concept. 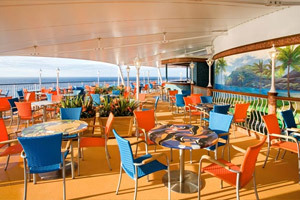 With NCL you'll be able to eat where you want, when you want, with whomever you want...now that's a vacation! There is a huge variety of accommodations on board Norwegian Jade, including interiors, ocean views and balconies, as well as mini-suites, suites and villas. The massive The Haven suites of this ship are over 3,300 square feet in size! Among the things to do on board Norwegian Jade are gambling in the Jade Club Casino, swimming in the ship's main pool, relaxing in one of the four hot tubs, watching a show at the three-level Stardust Theater, enjoying a treatment at the spa, enjoying a cocktail in one of the ship's many bars and lounges, as well as playing sports (such as basketball, volleyball and tennis). Plus, whenever you're hungry, there's always something tasty to eat, whether it's via the 24-hour room service, buffet, main dining rooms or one of the specialty restaurants. 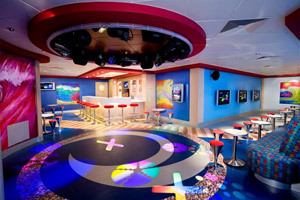 Norwegian Jade has a great (complimentary) youth program, as well as areas of the ship dedicated to children and teens (ages 3 through 17). 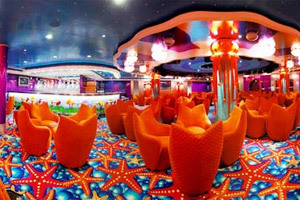 For instance, there's a Kid's Club, Kid's Pool, Teen's Club and video game arcade on this cruise ship. Your children will be supervised by trained professionals, in age-based groups, while participating in NCL's youth program. Experience true luxury at sea, and spend your trip in the comfort of Norwegian Jade's suites in The Haven, an exclusive area of the ship just for guests staying in these accommodations. The finest amenities are provided, including a secluded courtyard (with pool, hot tub, and fitness area), preferred seating at NCL's award-winning shows on board, the services of a concierge, and 24-hour butlers. For breakfast and lunch, you can choose to dine in a private restaurant reserved exclusively for guests of The Haven. 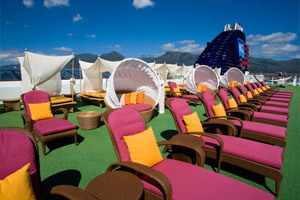 You will be treated like a VIP throughout the cruise! Enjoy one of the many treatments that NCL has available on board Norwegian Jade at their wonderful spa. 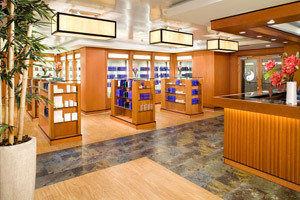 Among the spa treatments available are massages, acupuncture, medi-spa treatments, body wraps and facials. Also available is a full service beauty salon. Norwegian Jade's casino is a great place to spend some time, as long as you're feeling lucky! While there you can play slot machines, blackjack, poker, craps, roulette and more. 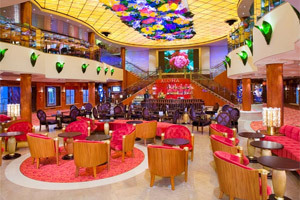 NCL's Casino at Sea Players Club rewards guests for gambling on board their ships. You can earn Seabucks, which can be used for many of your on board expenses and are awarded based on your level of play. When you're feeling like taking a dip in the water, check out Norwegian Jade's resort-style pool (featuring a water slide and hot tubs nearby). Located poolside is Topsider's Bar & Grill, as well as many relaxing lounge chairs for those that would like to take in some sun. 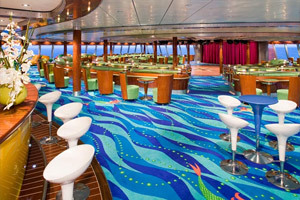 Low Price Guarantee on all Norwegian Jade Cruises! Book any Norwegian Jade cruise with us and you'll get the best deal possible, regardless of the ship or sail date! 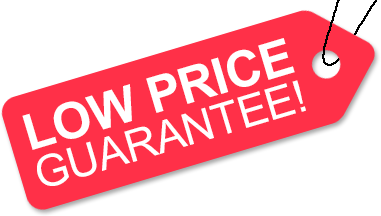 Because of our "Low Price Guarantee," nobody beats our Norwegian Jade prices, so look around and you're sure to find the best NCL cruise deal possible when booking with us! 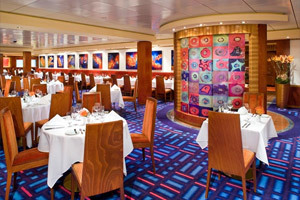 Pre-Paid Gratuities on Norwegian Jade Cruises! Get an Onboard Credit when you book a Norwegian Jade cruise with us. The value of the Onboard Credit depends on the particular cruise and accommodations you book. Onboard Credit values are listed on Step 3 of the online booking process. We do not charge booking fees on any cruises! 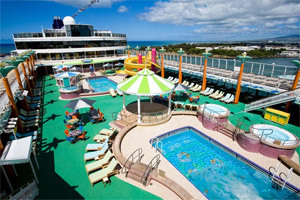 You're sure to enjoy an affordable Norwegian Jade cruise when booking with us! Military Discounts on Norwegian Jade Cruises! We have very special NCL cruise pricing available on select sailngs, for active and retired/veteran members of the U.S. and Canadian militaries. When available, our military discount can only be booked over the phone - book your Norwegian Jade cruise with us to save! Certain restrictions apply. Our special offers on Norwegian Jade cruises may not be combinable. Certain restrictions apply to each offer. View terms and conditions during the online booking process. 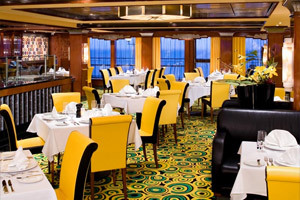 Click a price below to view the Norwegian Jade cruises during that month in that destination. These Owner's Suites are a truly luxurious way for you to get away. Includes a separate bedroom with a king-size bed and luxury bath with separate shower, in addition to the living room, dining room and large private balconies with incredible views. Sleeps up to two and guests receive access to the private courtyard area. Includes butler and concierge service. available.